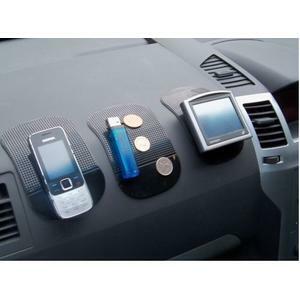 · Anti-slip mat, clings to your dashboard or center console and clings to anything that's placed on it. 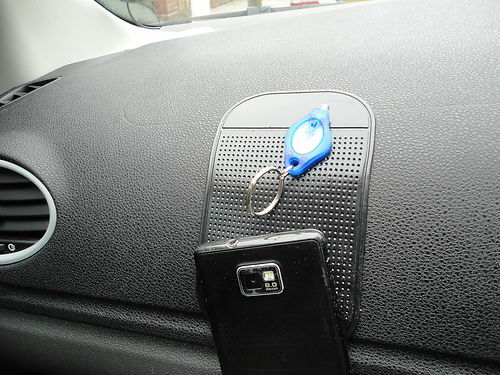 · Your cell phone, SatNav, Sunglasses or anything that's placed on the Sticky Mat will not slide off. 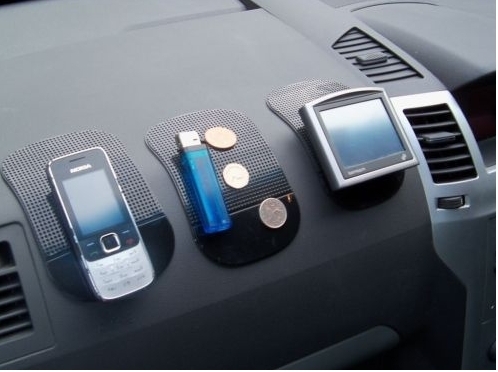 · No adhesive or magnet needed and can be place in your car, truck, SUV, boat or airplane. · leaves no residue, is reusable and can be washed when it gets dirty. · You will be shocked by how strong this sticky mat is. 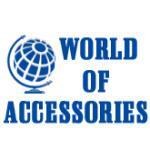 · Use EVERYWHERE; car, home, office, boat, school, RV, camping. Note: Avoid use on surfaces that have a lacquered finish (i.e. wood and some leather). Hello, how do the mats actually stick to the dashboard? Is it some sort of suction? And how do the items stay if you were to place it on the slope as shown in the picture? Is it magnetic or some kind of suction again? Hi not they are sticky and yes they will hold on a slope. Hi on your picture it shows the mats sitting on a slope, would they hold my phone in this position so as I might see the built in sat nav ??? Hi yes they will work on a slope. 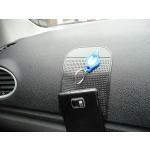 Hi, Do you have a car window mount for a garmin 660 sat nav,the one in your ad doesn't list the 660. Thanks Chris.PS sorry its a zumo 660 motorcycle sat nav.